Been busy with maintenance of my car due to the fact I'm off for painting in the Woods next week. 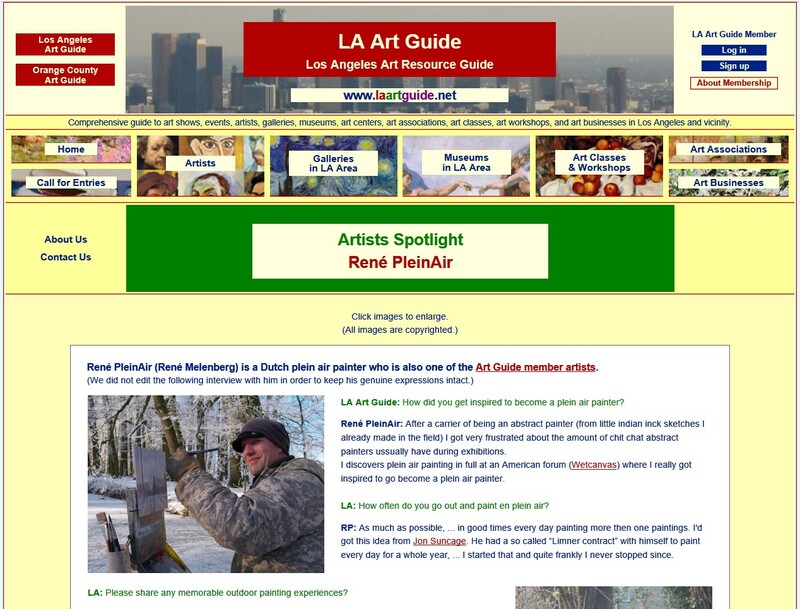 I've been interviewed several months ago by the Los Angeles Art Guide. I thought it might be a nice posting to overcome this sillence. click > here < for the interview. Good interview, wetcanvas was a great place to connect online with other artist, that is where I first saw your work. We posted in many the sane threads. Yes indeed Jim, those where the days!! Things changed a lot since then, I don't know if it's all for the best. Everything seems to go much faster now but in the mean time also much shallower as well. Thanks for your reply, ... appreciated!